Service... it's Who We Are. "I'll never use anyone else!!" Looking to add a new appliance to your house? we can help. Whether you need a new installation or are looking for a repair, just give us a call at (941) 225-2775 to get started! 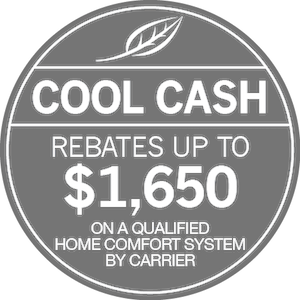 We are always offering ways to help you save on comfort. Head over to our special offers page today to see what current deals we are offering. Badger Bob's Services is made up of a family of services professionals. We grew up in the service business, and your satisfaction is our priority. Handling any temperature control challenge, from heating/cooling installation, maintenance and repair, to duct sealing and cleaning, our team upholds higher standards of quality. We further offer a wide range of expert plumbing services, including water heaters, and provide dryer vent cleaning and the installation, upkeep and repair of major appliances. Our goal is to make it simple and affordable to keep your household running smoothly. Promotion runs 3/18/19 – 6/30/18. Restrictions apply. Contact Badger Bob's Services for more details! You’ve probably seen our fleet of clearly distinguished service trucks in your neighborhood. Know that our extensive resources are at your disposal. With years of service across the Sarasota area, we continue to uphold a reputation for quality. From the products we recommend to our level of job performance, we refuse to compromise. Contact us today, and you’ll immediately notice our commitment to superior service. Every call is answered by a friendly and knowledgeable professional, and we’ll send a uniformed, licensed and qualified specialist to your door. Badger Bob’s is heavily involved in the local community, and we build longstanding relationships with our customers throughout Sarasota. Focusing on great service, from your initial call to the end result of every job, our team arrives on time, maintains damage-free job sites, optimizes safety and efficiency of essential appliances, and protects your best interests. Service … It’s Who We Are. Check out the AC Spring specials from Badger Bob's! Call for full details. 15% off your next drain cleaning. One per household. Call for full details. Expires: 4/30/2019 15% off appliance repair (With appliance service agreement.